It's indeed a shame Marc Leclair didn't release this gorgeous vinyl under his regular Akufen alias. Maybe he just wanted to keep his best productions for a small audience. He certainly achieved it by reversing all text on the record, I do know Akufen for 2 years now, but discovered this one only recently. 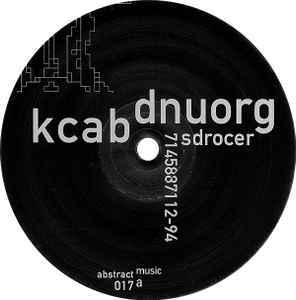 I think these tracks can compared best by the Quebec Nightclub 12", released under the Akufen alias. It has been recorded around 2001 as well and is very suitable for dancefloors too. IMO akufens best record. Experimental, but nonetheless funky and groovy.